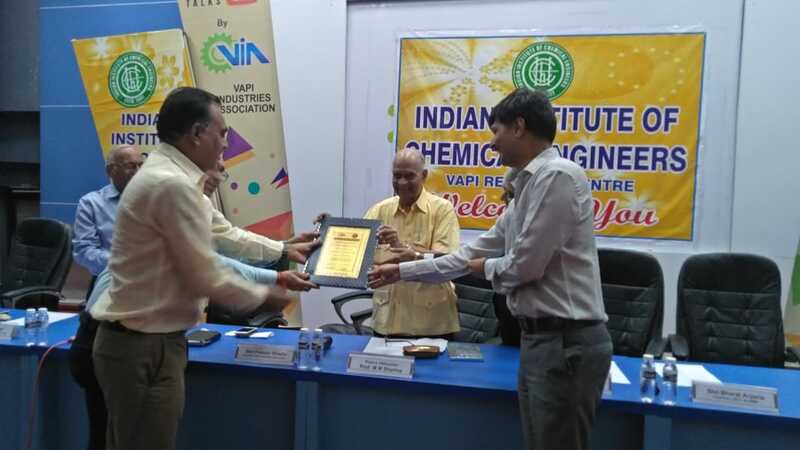 Vapi Industries Association (VIA) jointly with Indian Institute of Chemical Engineers (IIChE), Vapi Regional Center, Gujarat Pollution Control Board (GPCB), UDCT Alumni Association, Vapi and Vapi Green Enviro Ltd. (VGEL) has organized a Seminar on The Latest Innovations In Chemical Technology TO Improve The Environment by the keynote speaker - Padma Vibhusan Prof. M M Sharma at VIA Auditorium on 22nd January 2019. 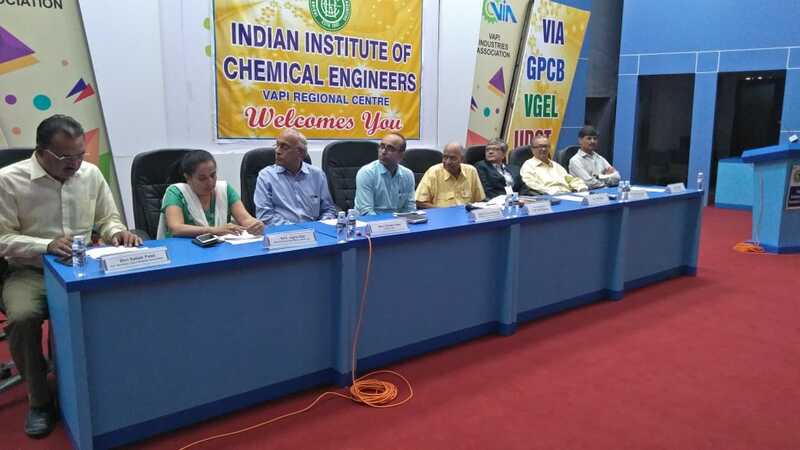 The seminar was held in presence of Shri Prakash Bhadra, President, VIA, Shri S S Sarna, Director, VGEL, Shri Chetan Patel, Director, VGEL, Dr. H M Bhatt, Chairman – IIChE, Vapi Regional Center & S S Pokale, Hon. 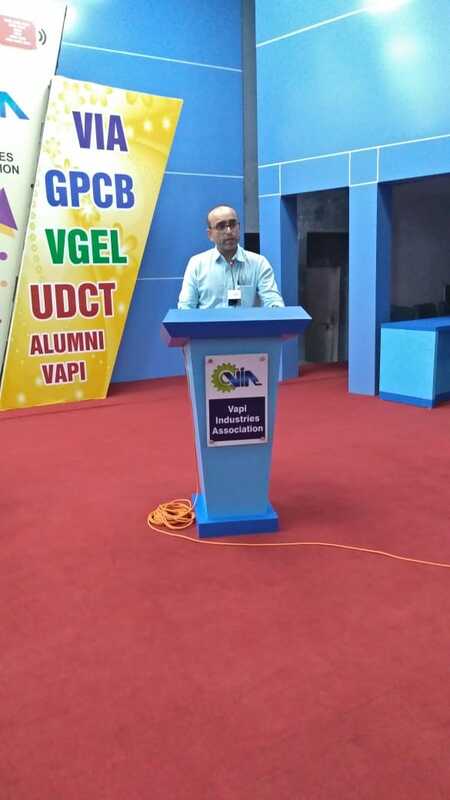 Secretary, IIChE, Vapi Regional Center. 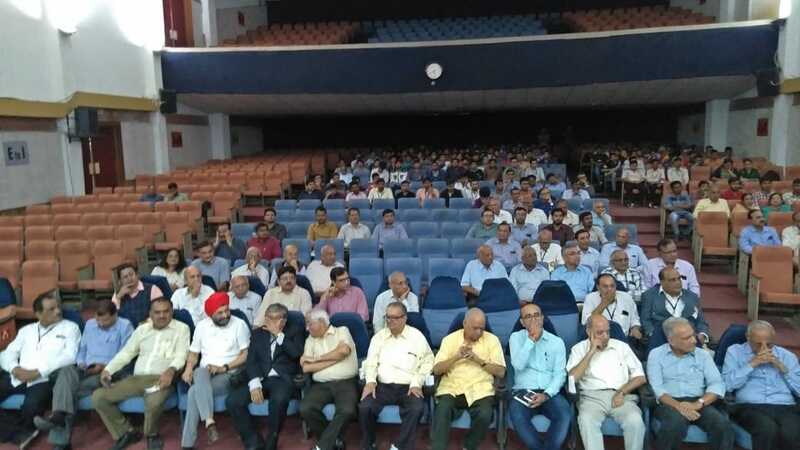 The seminar was well attended by over 250 participants. 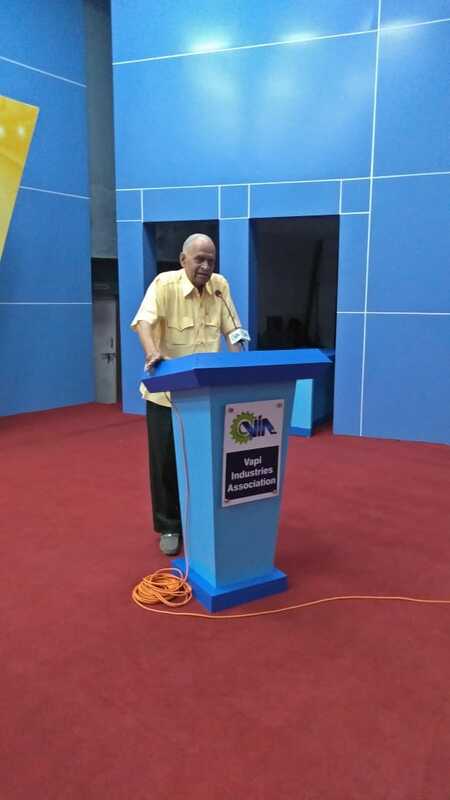 Following are the highlights of the speech and presentation given by Padma Vibhusan Prof. M M Sharma : ? It was explained how the chemical reactions were carried out in the past, in present and will be done in future with examples. The main themes of innovations in chemical reactions at present are to protect the environment and increase overall safety. ? The time has gone to call by-products in the industries. The innovation in chemical reactions should be such that there are no by-products but there shall be co-products. This will create valuation in the industry. ? 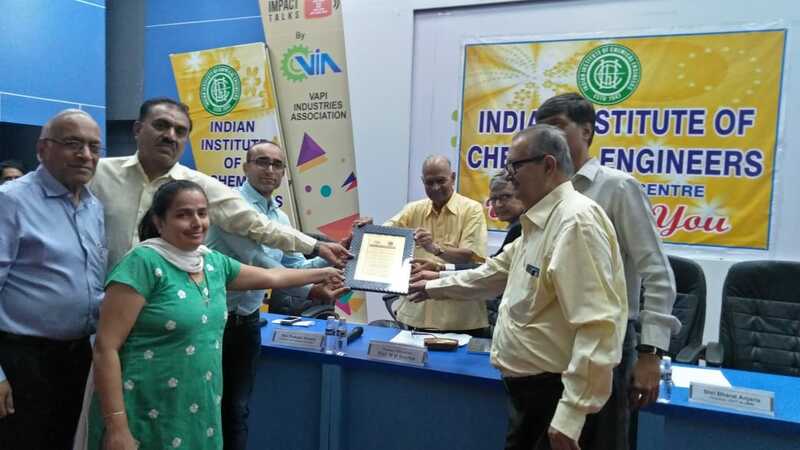 There is increasing requirement of processing of hazardous chemicals towards cleaner processes so that there is least impact on environment and enhancing safety of plants and people. ? For cleaner processes, micro-reactors are being used. By using micro-reactors, the batch reactions can be converted to continuous reactions with increasing efficiency and safety. ? The innovations are being used for installing Distributed Plants at end-user locations to reduce product cost, impact on environment, logistics etc. ? In future electro-chemical reactions will play vital role in protecting environment. ? The conventional Oil Refining Companies are moving towards petrochemicals based complexes. ? To reduce the effect of green house gases especially of carbon dioxide, the plants will be set up to capture carbon dioxide and convert it to hydrocarbons and other chemicals. ? The Effluent Treatment Plants has to use different technologies to reduce solid wastes and cleaner liquid discharge. ? The Sewage Water Treatment Plants have to be set-up for re-use of water and reduce green house gases. ? The solid discharge waste due to increasing population and modernization is mammoth problem. Segregation, re-cycle and re-use have to be adopted by using the latest technologies to reduce burden of land filling and contamination of land. ? The industries have to identify their burning problems, come forward to support research and adopt new technologies to protect environment and safety of the people.